Earbuds are made for all kinds of different reasons. Sometimes you want to use earbuds for athletic activities. Other times you’re just trying to get from one place to another, or trying to enjoy some music during a moment of quiet at work. Picking good audio equipment really depends on matching your own needs and preferences with the strengths and weaknesses of the earbuds you’re considering. Which makes it actually pretty simple to determine whether or not SoundPEATS headphones will end up being valuable to you. That includes not only their TrueFree+ earbuds, but virtually all the other equipment in this series. Because if there’s one thing SoundPEATS is good at, it’s being consistent in how they design their audio gear. SoundPEATS TrueFree+ are not necessarily made for athletics purposes. Headphones that are made specifically for athleticism often take on many disadvantages that would otherwise not be there simply because they’re anticipating a certain style of use. However, TrueFree+ earbuds do provide basically everything you would want from athletic headphones. That includes some basic waterproofing, excellent portability, and a generally strong battery lifespan. Where these earbuds start to earn their distinction is largely a matter of looking closely at the details. For instance, they make use of some pretty advanced wireless technologies to help ensure your connection remains as stable as possible. TrueFree+ earbuds also provide some above-average microphone performance, relative to other similarly wireless earbuds. But just because these headphones were made suitable for general audiences doesn’t necessarily mean they’re going to be suitable for you. 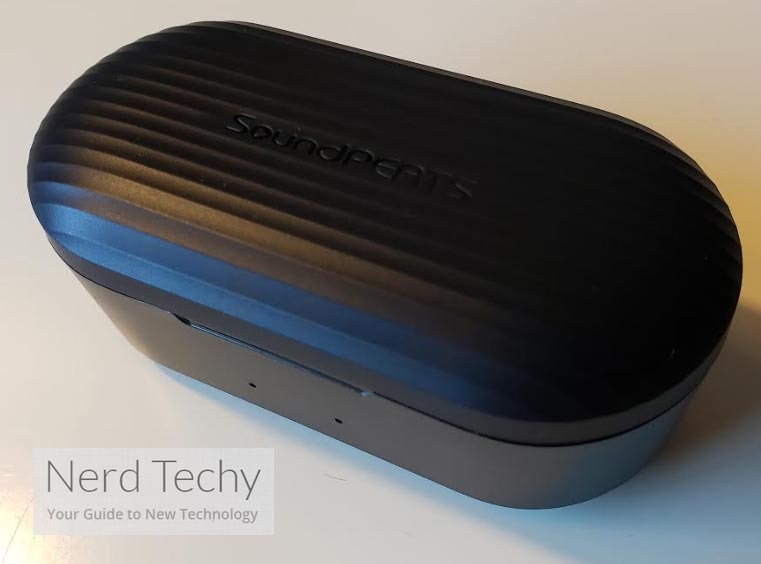 The SoundPEATS TrueFree+ charging case measures 1 x 0.9 x 0.6 inches. Among similar earphones, this is easily one of the smallest charging cases you’ll ever get your hands on. Unfortunately, that small size does also say some things about the ultimate battery capacity of the device. 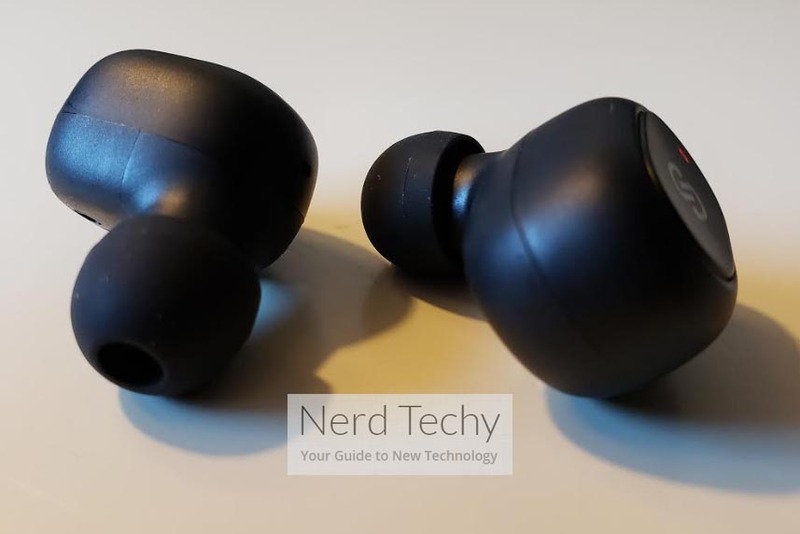 But for people who place a premium on portability, it’s certainly worth noting that carrying these earbuds is about as easy as carrying a case of Tic-Tac mints. Its matte plastic exterior doesn’t look very distinctive, but it’s pretty compact and highly portable. It also allows for an IPX5 waterproof certification. That protects TrueFree+ earbuds from the sort of mild exposure to water that such earbuds might be prone to encountering. That includes protection from sweat and rain. But the IPX5 certification doesn’t really protect you from more serious exposures to water, like submersion. You probably wouldn’t want to wash these off in the sink, either. If a time comes when you need to rinse these off, you’re going to want to use a damp cloth. On-ear touch buttons positioned on the outside of each earbud make it possible to control the earbuds, playing or pausing, toggling between tracks, or taking calls. The button is quite responsive, but since these are actually touch buttons instead of regular analogue buttons, they don’t work if you’re wearing a thick pair of gloves. 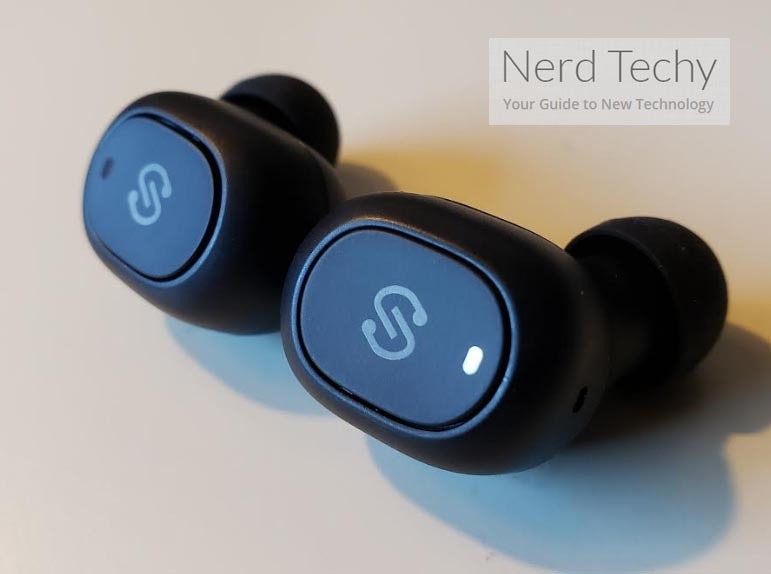 In addition to a couple of advantages in relation to saving battery life, these earbuds have some automatic power on/off functionality to make using them extra smooth. For instance, removing them from the case will automatically power them on as well. Placing the back inside turns them off. Pretty user friendly stuff. TrueFree+ earbuds include two sizes of different silicone ear tips. That’s actually not many size options when compared to similar wireless earbuds. But SoundPEATS probably know what they’re doing because technically speaking, two sizes should be able to accommodate roughly 95% of all people. Still, having some extra size options can be useful for people who like things a little tighter or a little firmer in their ear. And another thing these earbuds is missing are memory foam ear tips. Those can be great for noise isolation, especially for earphones that don’t make use of ANC technology. Lacking both of these options is probably reflective of their price. If you’re willing to spend a bit more because noise isolation is a critical detail for you, then you’ll want to consider another pair of headphones I reviewed recently, the Dyplay ANC 30. Because it’s clear these earbuds are clearly aimed at people who are on a tight budget. And when you’re on a tight budget, every feature you end up buying counts towards the price in a meaningful way. That even includes a couple extra pairs of silicone, and it certainly includes features like ANC. Fortunately, sound quality is one area where SoundPEATS TrueFree+ didn’t cut corners to make things cheaper. 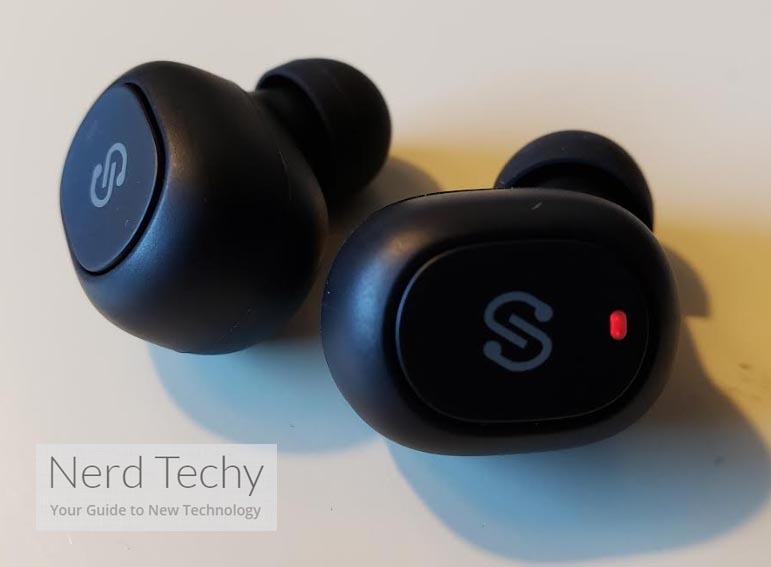 From the standpoint of an untrained ear, SoundPEATS TrueFree+ headphones actually sound very similar to countless other pairs of SoundPEATS headphones. Unsurprisingly, that’s because SoundPEATS tends to use a lot of the same parts and technologies in all of their gear. The TrueFree+ earbuds were constructed around 10mm audio drivers, which are significantly larger than the tiny 6mm drivers you see inside many similar earbuds. That helps them provide a far more complete soundscape than some listeners might be used to hearing from these sorts of earbuds. When you’re comparing them to a lot of athletic-style earbuds, these sing in a way others don’t. Regardless of whether or not you plan on taking these earbuds for a jog, it’s clear that these earbuds were designed for people who are listening to the kind of music you might enjoy while exercising. Upbeat music with a lot of energy sounds great. The bass is quite boosted, which many listeners will enjoy. But the bass can be drawn back a bit with an equalizer if the boost is too much for you. If you’re looking for a more neutral soundscape, it’s actually not tough to smooth things out with an equalizer. However, there is one small problem here when it comes to customization potential. Unfortunately, since the bass is quite boosted to begin with, equalizers aren’t actually unable to add much more to it. So if you don’t think the boosted bass is boosted enough for your liking, there’s actually not much room for growth, unfortunately. TrueFree+ earbuds are supposed to provide about four hours of playtime from the earbuds. Whether or not you get four hours really depends on a variety of different factors. But if you crank your volume above 75% and you’re not taking any calls, then you can probably expect to end up with more like 3 hours and 20 minutes. Fortunately, you can get another 40 hours from the charging case. But once again, that estimate is assuming you’re actually taking calls and using your volume settings down near 50%. When you’re not really taking calls and you’re raising your volume much higher, you might find the case provides closer to 35 additional hours. Recharging everything is pretty swift, it only takes about 2.5 hours to refill the case. And you can get an hour’s worth of charge from the earbuds from only four or five minutes of being connected inside the case. But the standby time in the case is only a couple of weeks, so you will have to end up recharging everything on a somewhat regular basis. Like many pairs of recently released headphones, TrueFree+ are constructed with support for Bluetooth 5. 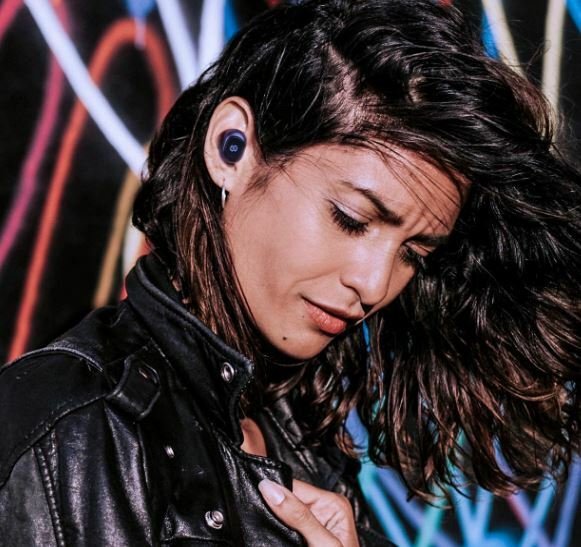 Many headphones could really take-or-leave Bluetooth 5, but when you’re using true wireless headphones, there are actually a number of advantages. Especially when it comes to maintaining sync between the two buds, and maintaining sync between audio and video. It’s also worth noting the Bluetooth 5.0 chipset comes along with a high resolution decoder. 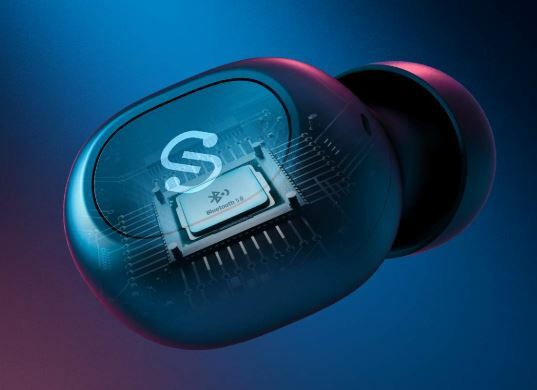 That supports AAC/SBC audio coding to deliver higher quality audio with a low latency connection. It also ensures automatic pairing between the two earbuds when you take them out of the case, at least after an initial setup period. 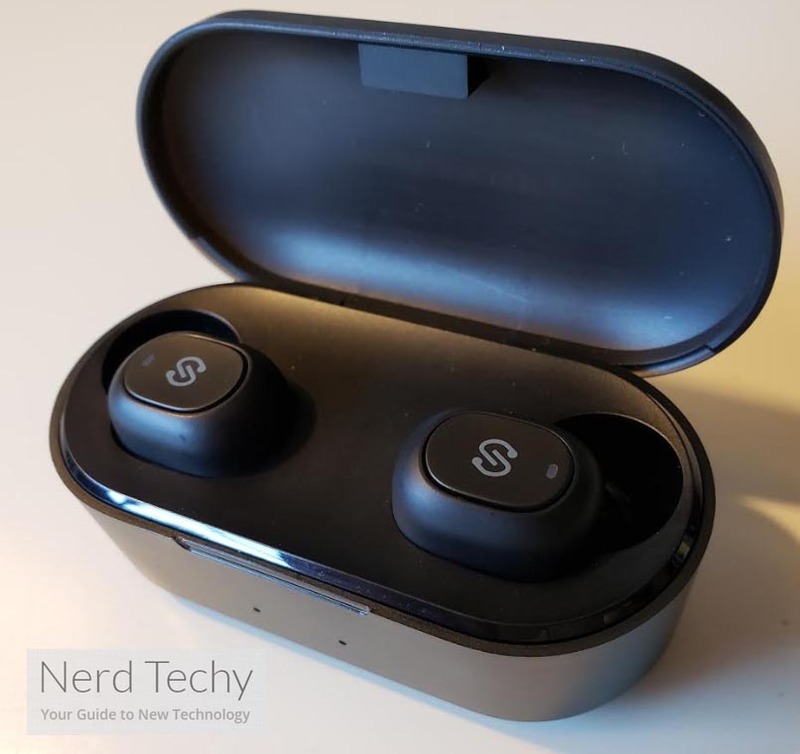 When you’re comparing SoundPEATS TrueFree+ to other pairs of true wireless earbuds in relation to their calling features, you’re actually looking at a pretty low bar. Many of these earbuds, perhaps most, can only provide audio in one ear while calling. Others can provide mono modes, but those modes don’t work for calls. Or some other feature stops working the moment someone calls you. Why does this kind of thing happen so much with true wireless earbuds? It’s because maintaining the sync between the buds is actually pretty tough to do. Which is why it doesn’t sound very impressive that SoundPEATS TrueFree+ earbuds allow you to take calls with for binaural or monaural calling. It sounds like the sort of thing that you would just expect earbuds to do for you. But it’s actually a feature widely lacking among many similar earbuds, so it’s probably worth noting how call-friendly these earbuds are. At least, relative to similar true wireless buds. For someone who absolutely must be wireless and absolutely must take calls, stereo sound is a nice thing to have. 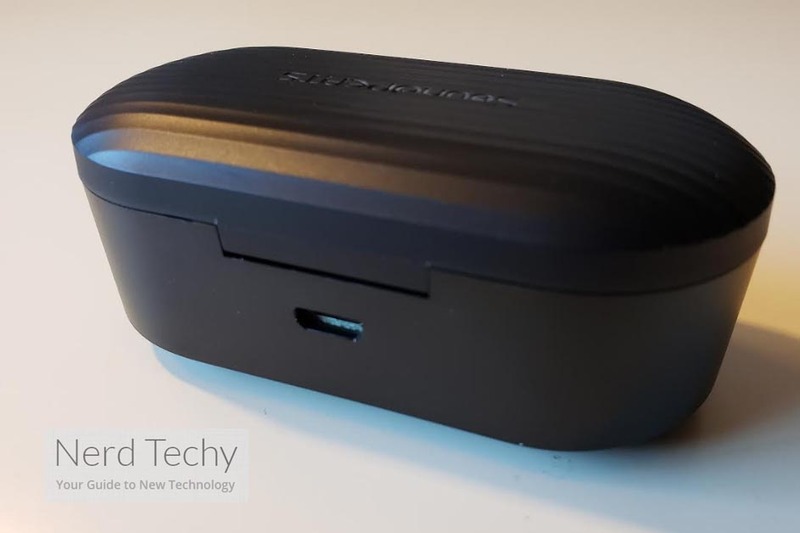 This kit includes a short micro USB charging cable to help you recharge the case. It includes two sets of silicone ear tips. And SoundPEATS includes a one-year warranty. They also have US based customer support, but you probably won’t end up having to worry about contacting them. At least, if you understand how to pair a Bluetooth device to your own smartphone. Who Should Choose SoundPEATS TrueFree+? 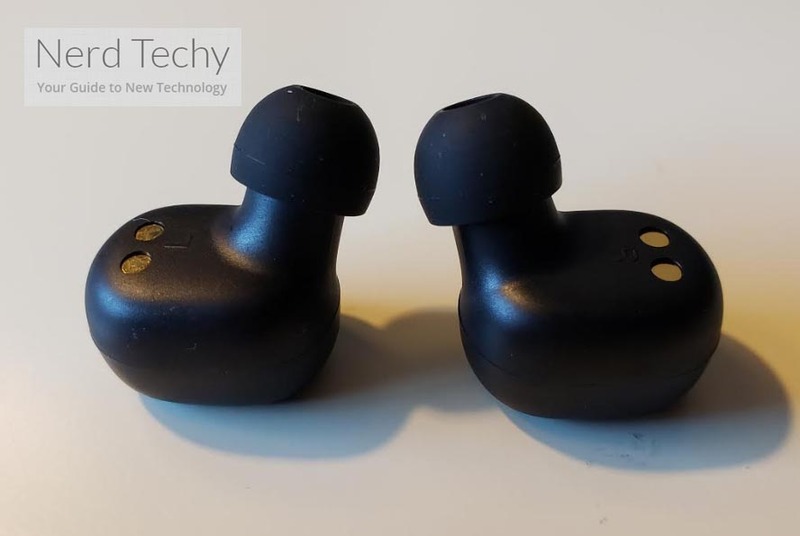 SoundPEATS TrueFree+ earbuds have a number of distinct strengths. Their microphone doesn’t have the same kinds of limitations you’ll find across nearly all similar true wireless earbuds. The charging case is amazingly portable. The sync between the buds is about as good as you can get without going with a wired connection. Having the ability to pick between only two sizes of ear tips, comfort options are somewhat limited. But that’s not a problem that will affect many people due to the relatively universal sizing of these earbuds. Although their sound quality isn’t exactly what you’d call audiophile level, but it’s competitive for this price level. 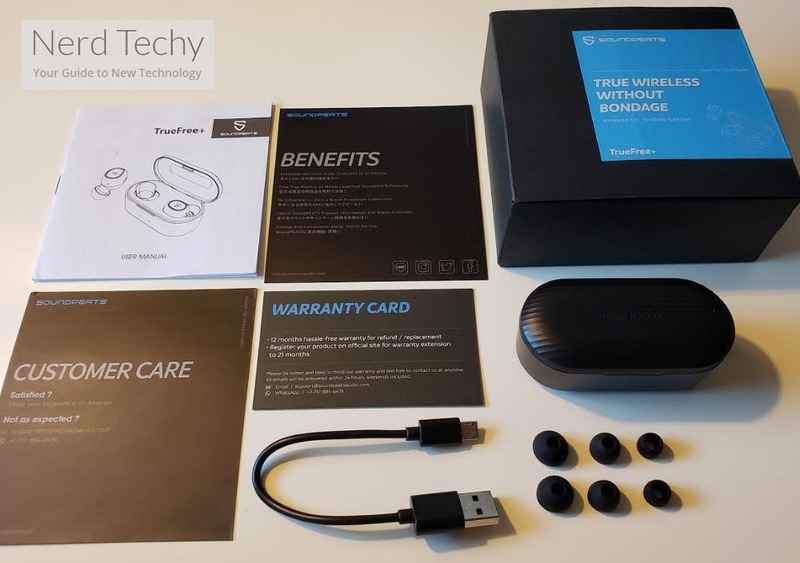 Which makes the SoundPEATS TrueFree+ Wireless Earbuds a good choice for someone who’s looking for portable audio on a tight budget.